Rome is one of my absolute favorite cities in the world. Apart their beautiful hotels and incredible shopping. Rome has some of the BEST FOOD IN THE WORLD. 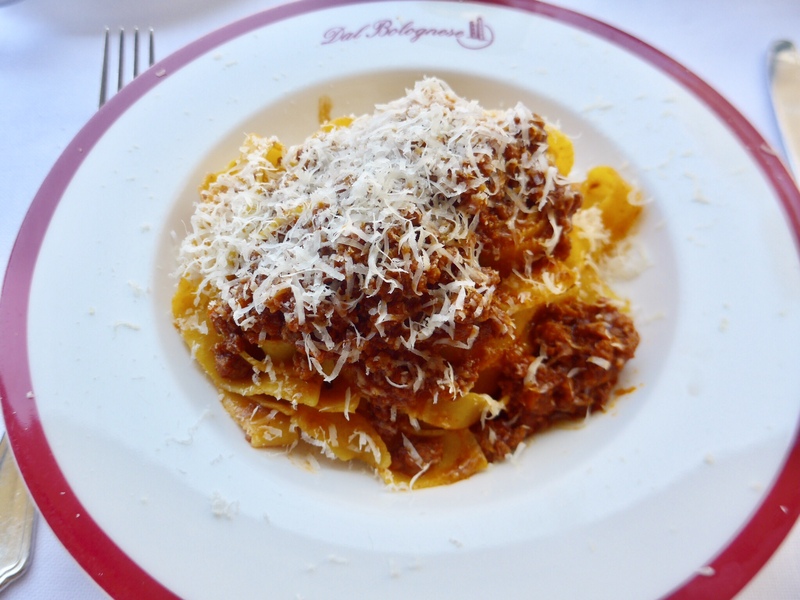 Dal Bolognese – Located in Piazza del Poppo, this is my absolute favorite restaurant in Rome. It is only a 2 minute walk from Hotel De Russie or Palazzo Dama. The elegant garden outside overlooks the square and the atmosphere is beautiful. I would say this is the Downtown NYC Cipriani of Rome (great for people watching)! The crowd was fabulous with lots of locals and the staff is always super friendly. Food and wine are excellent, of course. I highly recommend trying the Eggplant Parmigiana (it was next level) and the Fettucini Bolognese. Great for lunch or dinner! 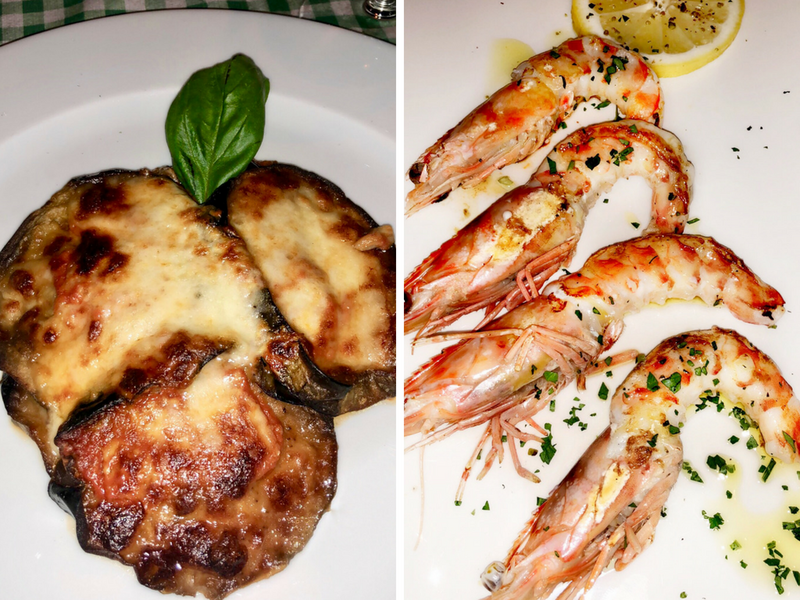 Pierluigi – This is the best seafood restaurant in all of Rome. The fish is SO fresh and SO delicious!! Ask for a table outside, enjoy a bottle of crisp white wine and try their raw appetizers. 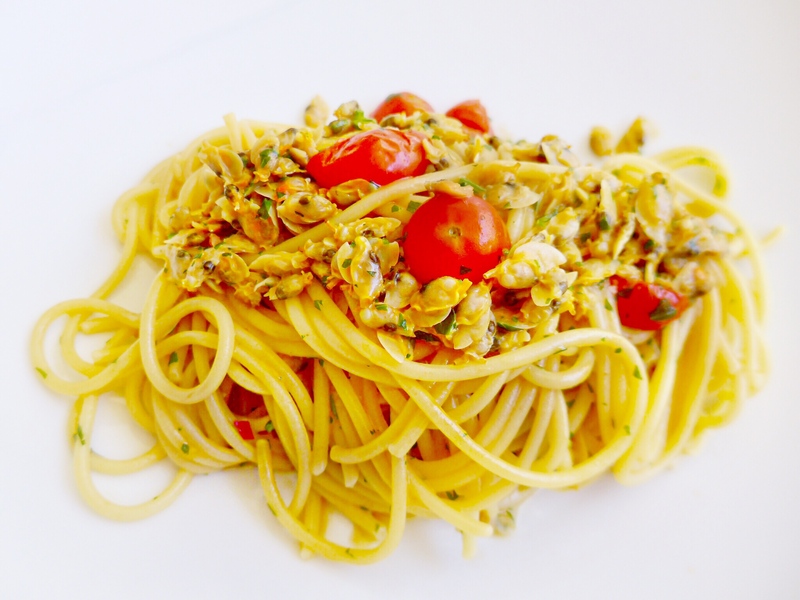 One of my favorite pasta dishes is the Spaghetti Vongole and they make the most incredible sauce here using super tiny clams and cherry tomatoes. If it is not on the menu, just kindly request it. Taverna Trilussa – A very well know restaurant that serves incredible food, especially pasta. You must try the Homemade Pasta with Cacio Pepe – it is insane! They also have outdoor seating so it’s ideal for spring / summer. La Pergola – Gorgeous restaurant on the roof of the Waldorf Astoria with spectacular panoramic views of the city. It is the only 3 Michelin Star restaurant in all of Rome and absolutely worth every penny! The quality of the food and the presentation is the best of the best. I highly recommend to book ahead of time (at least a month before your trip). The Sanctuary – A very trendy Asian restaurant set in a gorgeous tropical atmosphere. The menu here is totally #HealthywithNedi approved too! They have tons of delicious appetizers with light entree options and excellent sushi. The music and scene make the place perfect for a fun night out! Taverna Flavia – This restaurant is a GEM! It is a rustic old school place that is not packed with tourists. They have great local wine, fresh and authentic food and outdoor seating. The tiramisu was one of the best I’ve tasted. Zuma – Zuma is definitely the hottest spot for sushi in Rome. The location is spectacular. They have a beautiful garden that overlooks Rome – I highly recommend checking it out even if you are not in the mood for Japanese then go for Aperitivo before heading out for some Italian pasta! Il Tempio Di Iside – It is situated near the Foro Romano. The food is exceptional! Their menu changes daily depending on the availability of seafood. I highly suggest you ask for the chef’s tasting special to start your meal. It includes several fresh appetizers that won’t disappoint even the pickiest eater. Make a reservation if you are going for dinner, as it gets busy. 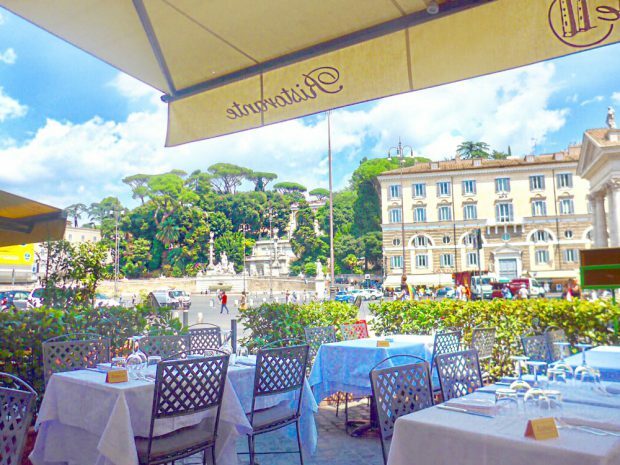 Hotel De Russie – This is an excellent spot for lunch on the terrace or pre-dinner drinks. It is one of the most beautiful and famous gardens in Rome and a place you must stop by for a drink. They make a strong Nedi Martini and serve with 3 different types of olives, which were the perfect #HealthywithNedi approved snack. Pacifico at Palazzo Dama – The scene here is stunning! The garden is outside by the pool and it is super relaxing for afternoon coffee or drinks. The food is Peruvian and excellent! Zuma – An ideal spot for pre-dinner cocktails! Ciampini – A famous spot for afternoon coffee, ice cream or aperitivo. Gelaterria Dei Gracchi – You can’t go wrong with any gelato in Rome, but many locals say this gelaterria located near Via di Ripetta is the best in town.